These 102ct Accu-Chek Multiclix Lancets are safer to use, faster and less painful. These diabetic lancets are easy to load for an accurate reading of your blood sugar. 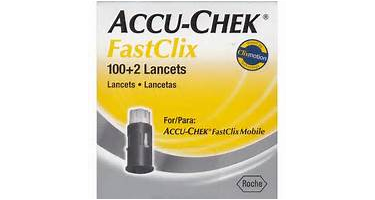 There are no lancets to see or touch with these Accu-Chek Lancets.